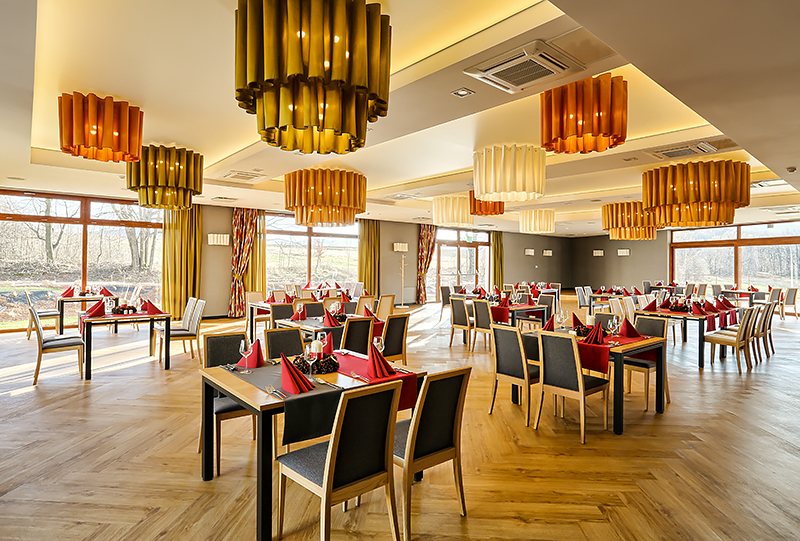 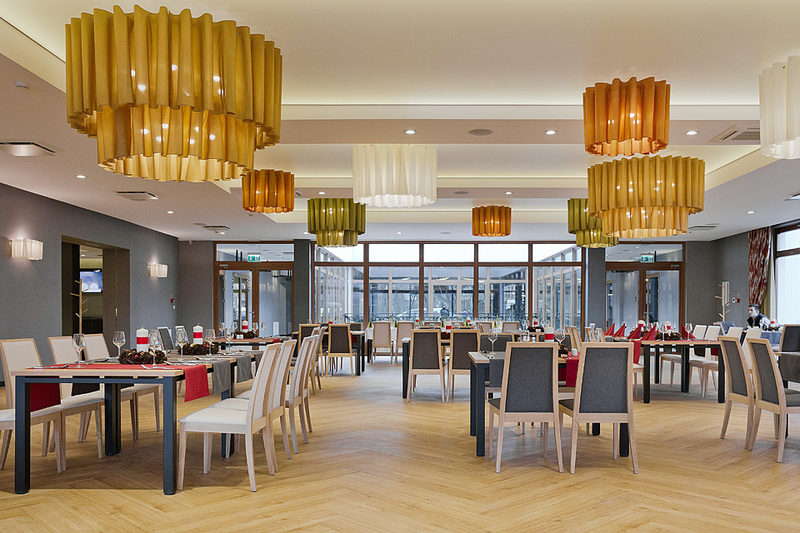 The stylish and spacious restaurant offers all Guests of the Aspen Hotel great food, so that everybody can find a dish to caress the palate. 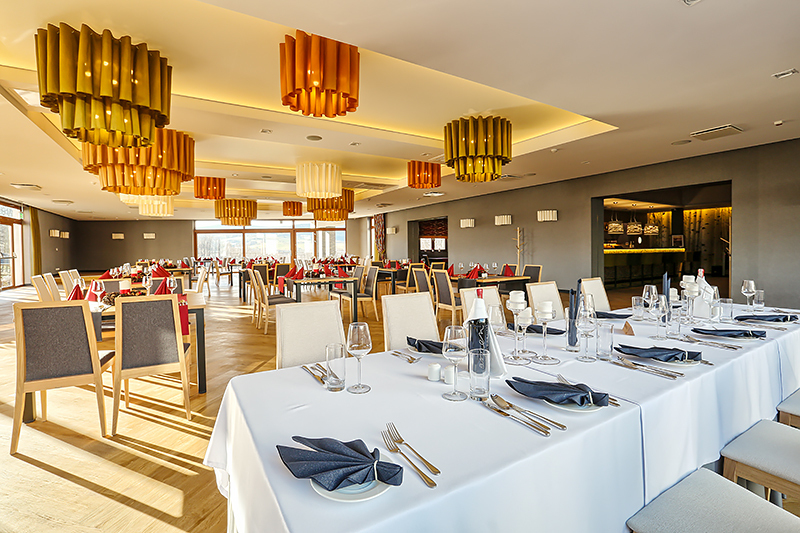 The chef and his team do all their best so that the meals they serve should satisfy the most refined taste of our Guests. 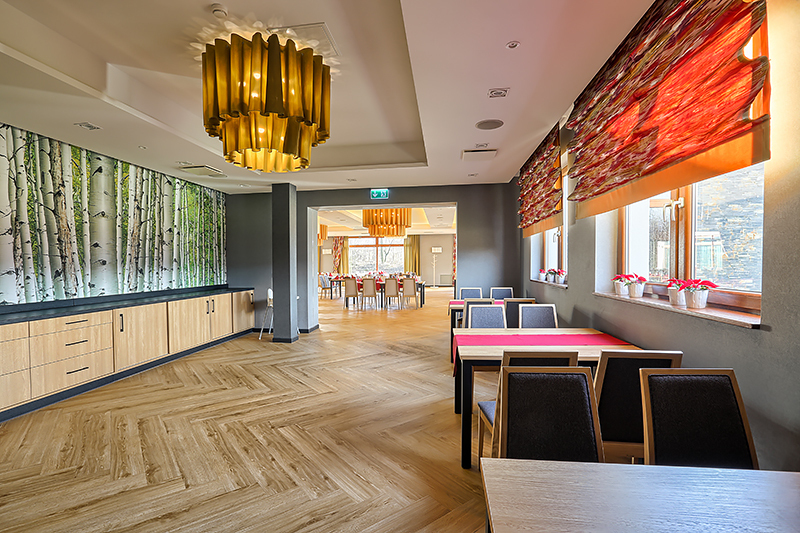 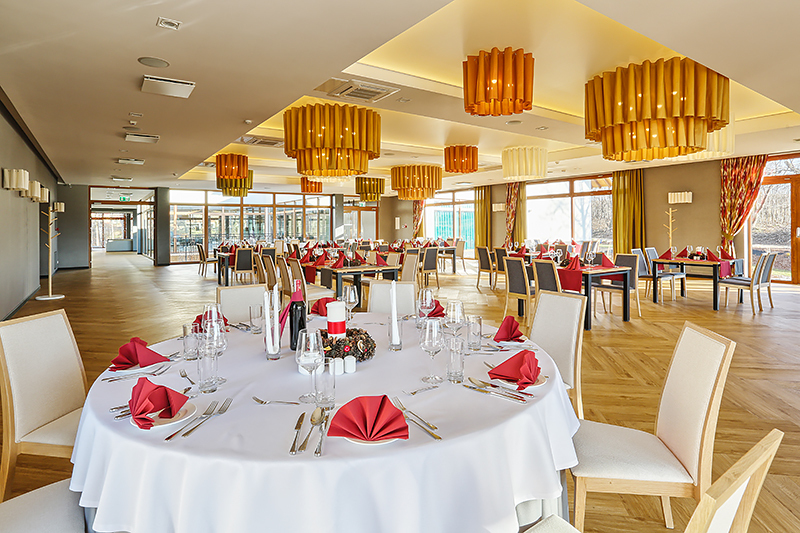 Our restaurant will please even the most fastidious gourmets, since, apart from the Polish and European cuisine, we can also recommend regional dishes, prepared with fresh and natural products. 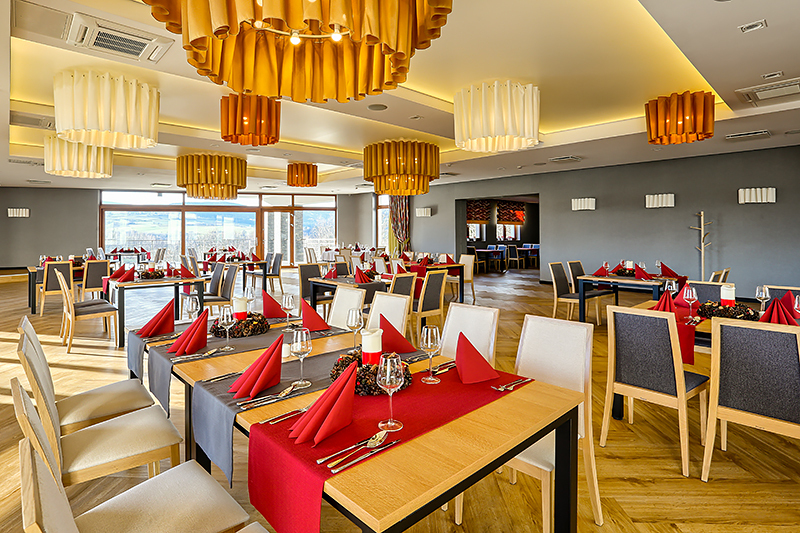 The culinary creations of the chef include such delicacies as sous vide duck breasts, boar tenderloin or creamy beet soup with crunchy raviolis. 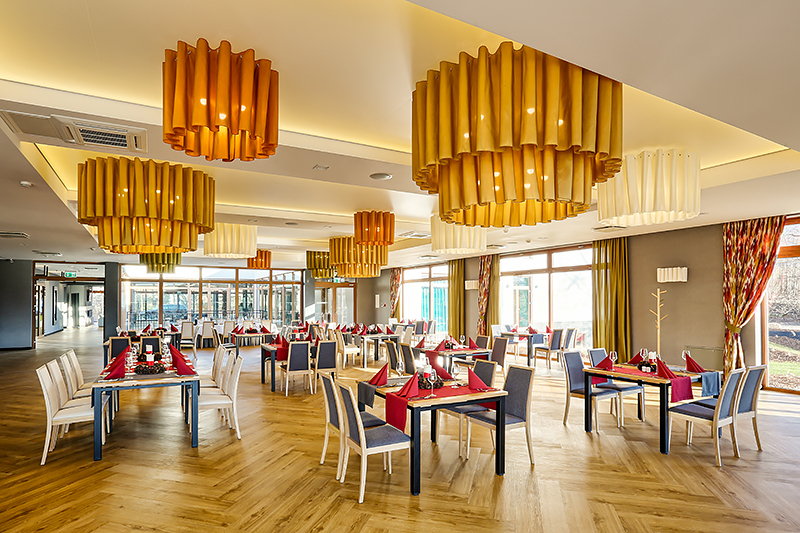 Delicious, freshly home made ice-cream crowns the excellent dinner. 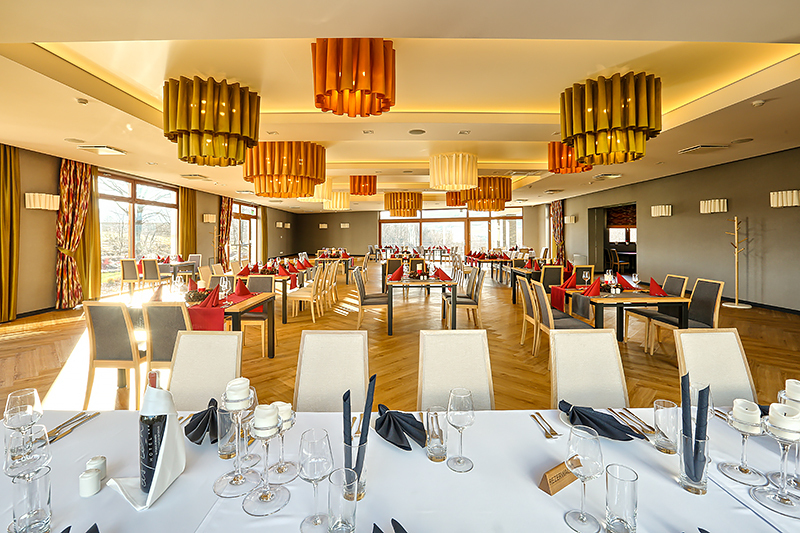 The rich breakfast menu, as well as the Polish and international cuisine dishes served here, enable arranging business and social meetings. 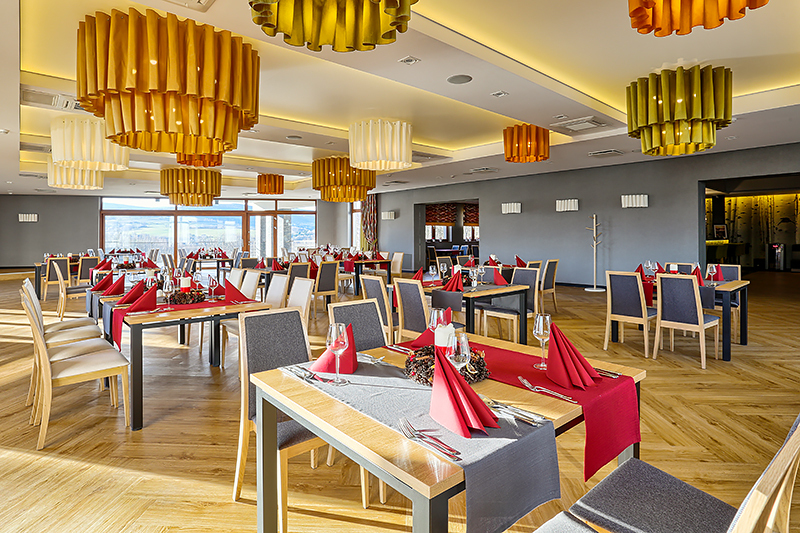 The classic decor of the restaurant, all in natural colours, introduces a nice atmosphere of intimacy, whereas the beautiful view of the mountains makes every moment a pleasant experience. 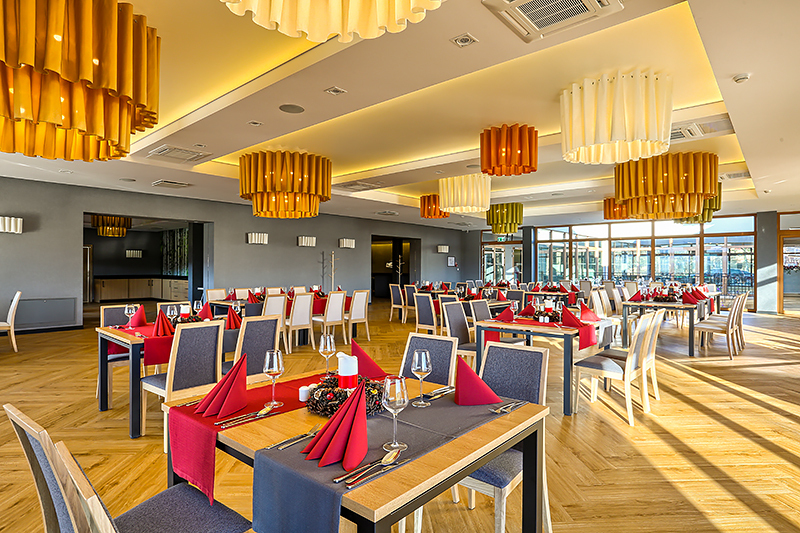 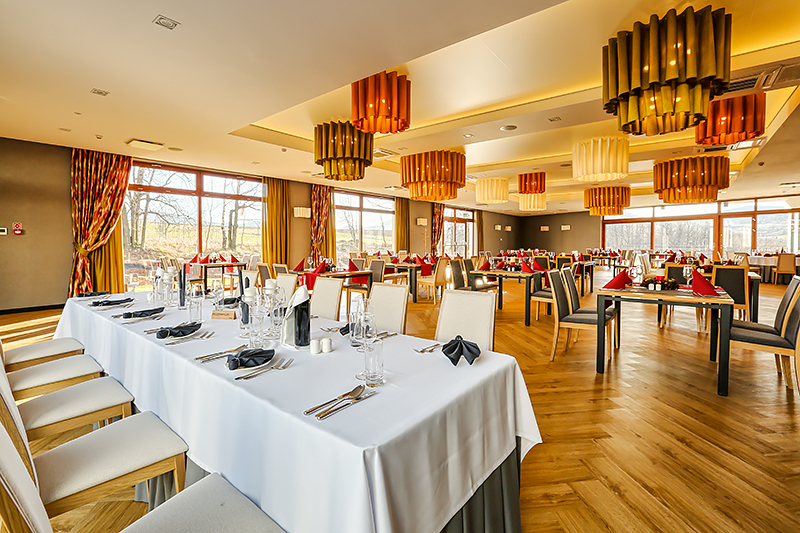 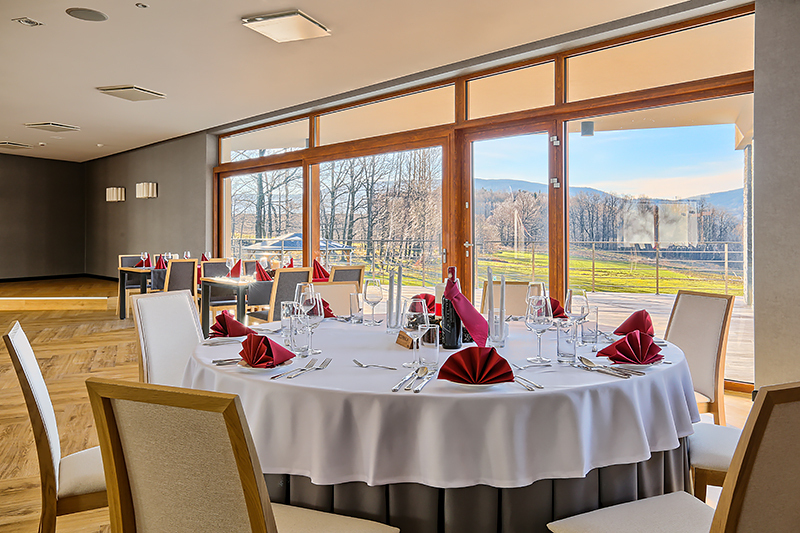 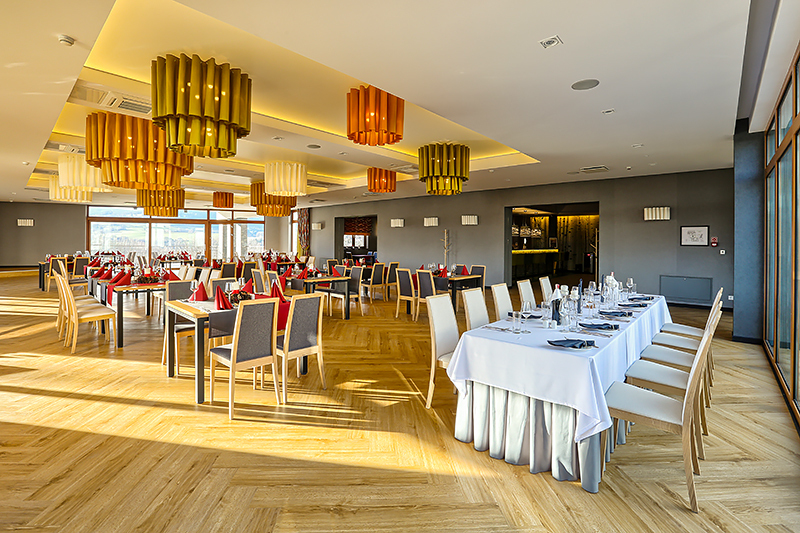 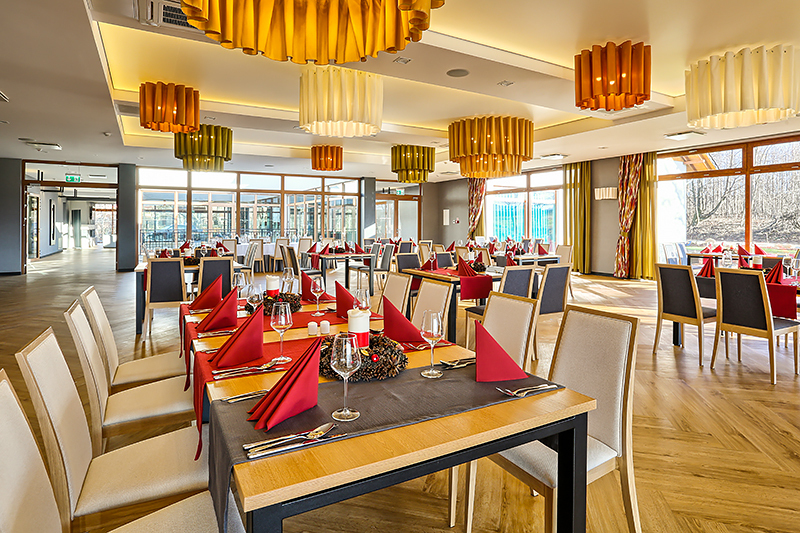 The restaurant is connected with a large wood viewing terrace, from which extends an exceptional view of the Opawskie Mountains.